Ready or not, kids are talking about “it” with their friends and they need to hear the truth from you! "I Can Only Imagine" is the biggest song in Christian music history. Jon Erwin who wrote and directed the movie shares the story of Bart Millard's painful childhood and how his redemption story made it to the big screen on today's Jerry and Blanca podcast. It's a powerful interview for anyone who has ever thought, "My situation will never change." 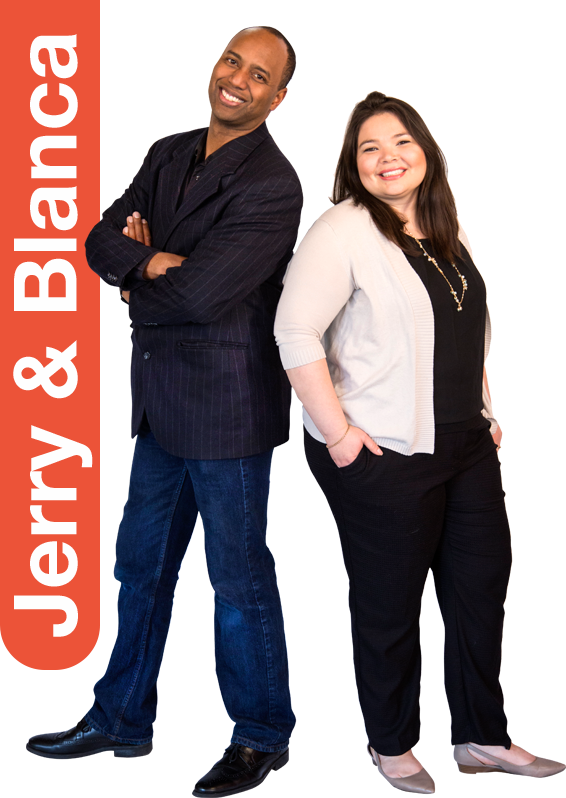 Dwight Bain joins Jerry and Blanca to talk about finding love and keeping it strong. Many women struggle silently with postpartum depression. Joanne Bryant is a Virginia mom who lost her daughter to it. Today Joanne dedicates her life and a run in her daughter's name so others can win the battle against it. We all struggle with balance work/life balance. Dr. David Henderson shares advice on how to know when too much is too much and what to do about it. It seems like tragedy is in the news daily. When something like Las Vegas happens, how do we respond without becoming jaded. Psychologist Dwight Bain shares how to get through tough times of national tragedy. Just how often is it normal for kids to get sick during the school year? It’s completely normal, especially for young children, to get the sniffles a few times a year as their immune systems develop. We've all seen the pictures on the news, but it's hard to get a picture of what's going on behind the scenes in Texas. Paul Carder Jr. with the American Red Cross lives in our area, but he's in Texas right now. He shares with us what the relief effort looks like on the ground. Samaritan's Purse talks about several ways you can get involved to help folks in need.